Italy and France stand out as two countries with particularly long and impressive traditions when it comes to ice cream. As can be expected, there is also quite a lot of diversity not only between these countries, but also within the countries themselves, with regard to how ice cream is made. For a general orientation, we will forego a lot of this rich diversity and instead focus on broad, somewhat over-simplistic, general lines. French ice cream – often perceived as “creamier/heavier” – contain more butterfat (= more cream, generally). Italian ice cream – often perceived as “milkier/leaner” – contain less butterfat (=less cream, more milk), less air and more sugar. Both traditions have, however, one common characteristic feature – the generous use of eggs. Typically, French- and Italian-style ice cream is prepared on a custard-base. This mainly involves the heating up of the dairy-egg-sugar-base to an appropriately high temperature (high enough to pasteurise all those raw eggs, while avoiding turning them into crumbled eggs). Using eggs (and heating them with the base) have several important advantages: while eggs lend a particular taste to ice creams, they (especially the yolks) also contain fat, as well as egg protein and emulsifiers. Fat is an important ingredient in most ice creams, and the egg proteins (when heated) also help to bind water which improves the ice cream. 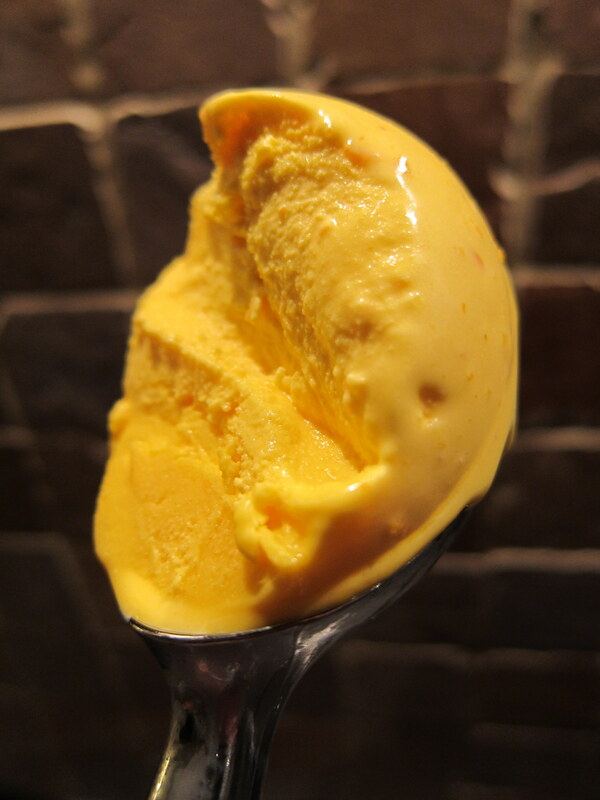 The emulsifiers (primarily lecithin) bind water and fat together, further improving the smoothness of the ice cream. Learning to make a good custard is therefore a main requisite for anyone wishing to re-create these two smooth types of ice creams, by many considered to be the very best in the world. Note that while the ingredients differ somewhat in measure between the base recipes, the way of preparation is the same for both. Combine the milk, the vanilla bean (split lengthwise) and half of the sugar in a saucepan. Heat on medium-low to just below boiling point, remove the pan from heat and set aside for about 20 minutes to let the vanilla flavour infuse the milk. 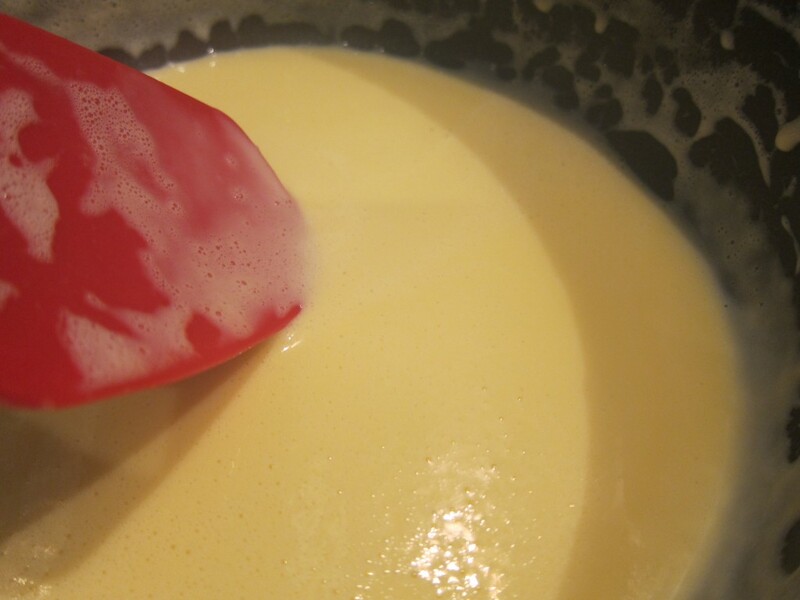 In another pan, combine the egg yolks with the remaining sugar and whip the mixture for a couple of minutes. Take the vanilla infused milk, and bring it back to heat. Before the milk begins to boil, pour some of it on to the egg yolk/sugar mixture in a thin stream while whisking steadily. This little-by-little approach is supposed to “temper the eggs”, making the yolks less likely to transform into scrambled eggs when confronted with the hot milk. While this is the conventional wisdom on how to make custard based ice cream base, some beg to differ. According to these unbelievers, “tempering” is unnecessary. They argue that is works equally well (or better, actually, since it simplifies the process) to mix all ingredients together in one saucepan from the start and then, while stirring constantly, to carefully bring the mixture up to (absolutely no more than) 85° Celsius/185 º F). After the tempering has been done (or not, if you go with the unbelievers), the rest of the milk/cream is added to the yolk mixture. Then, on medium-low heat (or even over a water bath, which makes it even easier to avoid mishaps) and while stirring constantly with a wooden spoon or a spatula, bring the ice cream base up to 85 degrees Celsius/185 º F: the recommended temperature to achieve pasteurisation. The obvious biggest dangers? Not stirring enough/burning the mixture/or heating the base too much, thereby ending up with lumps of scrambled eggs or worse. In my experience, both the ‘classic’ (= temper the eggs) and the ‘modern’ method (= skip the tempering) work well, and generally create good results (while it admittedly might be more efficient to just stick to the modern method (which is somewhat faster), I still find myself alternating between the two, however). The custard base should be brought to the so-called nappe stage. There are tried and tested methods to check when the custard base is ready, the most commonly known probably the “is it possible to draw a line with your finger across the mixture covering the back of the wooden spoon that stays?”-test (a k a the Spoon-test). Another test is the so-called Rose-test: Dip the spoon in the base, blow some air on the custard-covered back of the spoon and check if a pattern slightly resembling rose petals is formed. The common denominator in both these tests, as you may have noted, is that the custard by now should have left the “purely liquid” stage and gained a certain ‘staying stability’ when it comes to consistency. Personally, I still feel most at ease with a thermometer to guide this delicate part of the process. When the ice cream base has reached its required temperature (a maximum of 85°C/185º F), it should either (a) be taken off the stove as quickly as possible to cool down, as quickly as possible, or (b) be left on (maximum) 85°C /185ºF for at least a minute more or so, to ensure complete pasteurisation, then be taken off the stove as quickly as possible to cool down, as quickly as possible. By the way, on the issue of the temperature to be achieved, Heston Blumenthal argues that going up to 85°C/185ºF actually sets off the eggy taste in the egg yolks, and I seem to recall having read somewhere that he therefore prefers to stop already at 77°C/170ºF (if not for Egg & Bacon ice cream, where he deliberately would go higher than 85°C/185º F just to bring out the maximal eggy taste of the yolks). While you may want to experiment with the temperatures, do remember that pasteurisation is there for a health reason – if you want to go lower, it would probably still be advisable to at least remain in the 82-84º C /189-183ºF-bracket. When cool enough for the refrigerator, the ice cream base should be covered and preferably be left to mature over night (leave the vanilla bean in) to allow the flavours to really come out and the mixture to settle in the best way. After this, the vanilla bean can be taken out, the vanilla seeds scraped back into the base, which then can be poured into the ice cream machine and frozen according to its instructions. Ready to check out the recipes? Go here to look for ice cream recipes! When a recipe about Spanish ice cream? Dear Fernando – While the “usual” base recipes here normally would apply also to Spanish ice cream-making, the one for Sicilian gelato (check that post!) is probably the historically most “Spanish-influenced”. There are also some very nice flavours particularly connected to Spanish cuisine (Arroz con leche and Turrón, just to mention two). Strawberry and Sangria would probably also be a combination worth trying. On this blog, you may also check out the Crème Brulée ice cream – As you probably know, this is a dessert also known as Crema Catalana. And do not miss the Bienmesabe (Spanish almond cream), a speciality from the Canary island typically paired with vanilla ice cream. Great – glad you liked it Tarzan! Please I want to make real ice cream. I got a restaurant and cafe in Jordan in Irbid city. In my city there is no-one producing ice cream. I got an ice cream maker called Tritico from Bravo. I try to make some and its good but not excellent. I try to use 3 liter milk and about one liter whipped cream and the flavor, adding 3 tablespoons of gelatin and the flavor and sugar from 700 to 900 gr. I try to use butter but there is no difference. I don’t know if I can use egg: I want to sell ice cream to some shops but am afraid of using egg even though my machine can heat the mix to 99 C or 85 C to kill bacteria. Can anyone help me? It is a dream for me to make ice cream and I know the ice cream I produce is Philadelphia. I want the French or Italian ice cream. It looks heavy and more solid to me. Please help me. If I correctly understand your question, you want to make French or Italian ice cream-types, and not the Philadelphia-type you currently have tried. As far as I can tell from what you write, it seems that your base mix so far has contained too little fat. While it is a bit difficult to tell without knowing what flavour you have been adding (and how much of it), 3 parts cream and 1 part milk and so little stabilisation (3 tablespoons of gelatin) would make for a rather “thin” ice cream. And while Philadelphia-style ice cream has its charm and advantages, it seems a bit of a shame not to make use of your ice cream machine’s obvious capacity to deal with cooked bases: after all, they do add a certain solid, refined touch to most ice creams 🙂 . If you take a look at the two base recipes on this very page, you will see that you need to – generally – add more fat by way of more cream and eggs. As you write, your ice cream machine looks perfectly capable of pasteurising the mix (85 C should normally do very fine) so using eggs should probably not be a cause for health-concerns. You could also experiment with using both eggs and some gelatin, such as in this (rather French-style) ice cream base. If you still want to avoid using eggs, you would need to add more fat in some other way. Or use more gelatin. Or some other type of stabilisation. Perhaps you should give Sicilian gelato-base a try: there, you would use starch instead of eggs. Thank you very much. Another question – I want to know if the cream I must use must be a heavy cream or whipped cream? Because I used whipped cream. Another question: what is heavy cream? Is it liquid or the liquid of which we make whipped cream? And thank you again. The classifications of “cream/whipping cream/heavy cream” may differ around the world – go here for a quick overview. The recipes on this site (unless otherwise stated) typically assume that your “normal” cream would hold a fat-content of about 30-35 %. At last I have found someone who explains the ice cream process and reasoning very clearly. Thank you for sharing your knowledge! I have just made some ice cream using your recipe! Thank you! Thanks so much for your kind words Sue! Italians make the best Gelato (ice cream). I swear you feel as if heaven came down upon you. I really like your recipes. I need your help. I’m originally from Greece and over there we really like the French style ice cream – parfait. Do you know where can I find recipes? French (or European) style parfait is, roughly speaking, a type of ice cream made with a high proportion of cream. There are parfait recipes on this site, so you could for example check out the Toblerone parfait, or the Nougat-port wine parfait. Best of luck! Your recipe for Italian ice cream is the first ice cream recipe I’ve tried, and let me say that it is the best ice cream my wife and I have ever tasted. What would be the fastest way to cool the custard mix after it’s been heated? Also whats the best way to lower the melting point of ice cream? Since most of us lack access to liquid nitrogen at home, the fastest “household friendly” way that I know of is probably to prepare a bowl (or the sink) with cold water and ice cubes and let the container with custard cool down there. In the winter, if you happen to be living somewhere cold and snowy, you may of course also chill the custard in the snow of your backyard. Would you say that most Italian gelato shops use pre made mixes for their gelato or is everything made from scratch. If made from scratch do they use variations of your recipes or do they also still add stabilizers (other than eggs)? It would be kind of difficult to make such sweeping generalisations but pre-made mixtures are certainly much more widespread today than many gelaterias like their customers to believe. So, support the ones who try to stick to more ‘natural’ gelato! very good site with a lot of information thank You. one question how long you can keep the italian base mix in the fridge ,not as ice cream as liquid base. Provided that you start out with good, fresh (enough) ingredients, you could probably store an Italian base mix in the fridge for at least a couple of days (and probably even a bit longer). If substituting tapioca starch for corn starch, is it identical in quantity? Also, is a tsp. of corn syrup the same as a tsp. of sugar? Thank you. From what I have gathered, you would typically need to double the amount of tapiocha (= for the equivalence of 1 tablespoon corn starch, use 2 tablespoons of tapiocha). If you try it, do let me know how it worked out! And no, a tsp of corn syrup is not the same as a tsp of sugar: corn syrup is a type of inverted sugar and therefore much sweeter per quantity than ‘ordinary’ caster sugar. 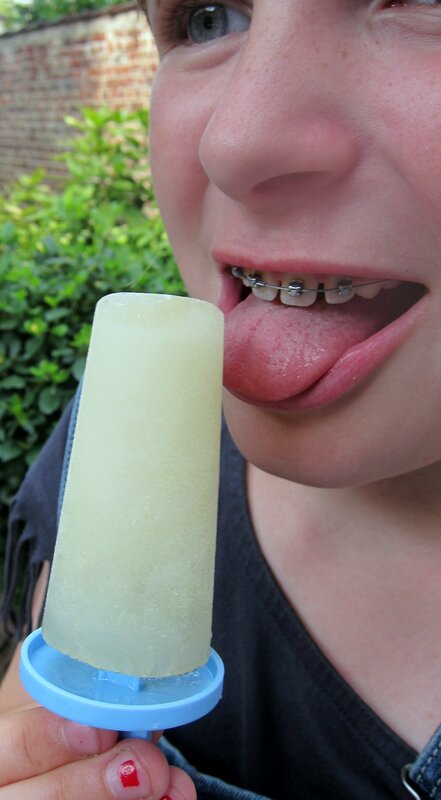 The main reason for using inverted sugar in ice cream is typically to improve the consistency (through the anti-freezing/softening effects of sugar) without adding the amount of extra sweetness to the flavour that ordinary sugar would bring. Do you think it would work using a home pasteurizer when adding eggs for the base ? If you are about to take up commercial ice cream-production, you would probably do well to check with the appropriate local authorities dealing with food health and safety standards where you are. Otherwise and generally, I would assume that it probably could work fine (compare the “modern method” of making custard, where all ingredients including the egg yolks are put together from the very start), as long as the pasteurizer in question actually can handle eggs too: this may differ between different types of machines, so check with your seller! Hey there Anders…can one use egg yolk solids to replace the egg yolk component in those recipes that use eggs? Also, I try to use nothing but pure maple syrup to sweeten the base. Do you know of any good recipes that will help me in the conversion and what the drawbacks of using liquid-based sweeteners might be? For conversion, go with 3/4 cup of maple syrup for 1 cup of white sugar. Since maple syrup contains quite a lot of liquid (a bit over 40 %, in fact), it won’t really add much body to the ice cream. In other words, the extra liquid needs to be balanced somehow, for example by using more cream and less, or even no milk at all, in the base. While maple syrup does contain a (quite small) amount of inverted sugar, the rest of its sweetness actually comes from good ol’ sucrose: the typical anti-freeze effect caused by inverted sugars will therefore be quite mild. Still, if you only use maple syrup it still adds up and might be something to at least bear in mind. Best of luck! Hey Anders, today I made my first ice cream ever. I used your Italian style recipe for the custard and the easy method mix all together and than heating up in a water bath. And I worked very well! I made a Stracciatella ice cream with this base and it was absolutely unbelievable! It was gorgeous. My husband loved it, too. Although he is not so in Stracciatella, he directly asked for more after a first try. So thank you very much for this wonderful recipes and your beautiful blog! Hey there! I’m looking to recreate a childhood favorite of mine. Would this Italian base be a good version for making Spaghettieis? I’ve yet to find a vanilla ice cream in the states that even compares to that in Europe. Heck yogurt is the same way! While I can’t really know what your childhood’s Spaghetti-ice cream tasted like, I definitively think that you could be successful with either of the Italian or the French base! Both should give you the ‘nice and refined’ custard-based flavour and texture which I believe many associate with high-quality [European] ice cream. But there are also other base recipes which might be of interest to you: check out the ones prepared on the stove (custard based and others) here, under “base recipes”.). Hello. I’m looking to make frozen custard that we’ve enjoyed at Drew’s in St. Louis. Do you have any recommendations or a recipe to try? Carol…I have been successful at making frozen custard. What is necessary is dehydrated egg yolk solids and lots of cream and half and half…no milk. Additionally, I sweeten my base with pure maple syrup. That seems to form smoother crystals and a creamier texture. Hi Anders! How do I use your base recipes at the top to make other types of ice cream, for instance chocolate or strawberry or mint or salted caramel? I want to specifically use your good base recipe here to make them, seeing that it is a great base recipe to use. Thx so much! Glad you liked the base recipe(s)! The short reply is that you basically just add the flavour of your choice (strawberries, chocolate, caramel sauce or what have you) to the base. But you already knew that, right 😉 ? 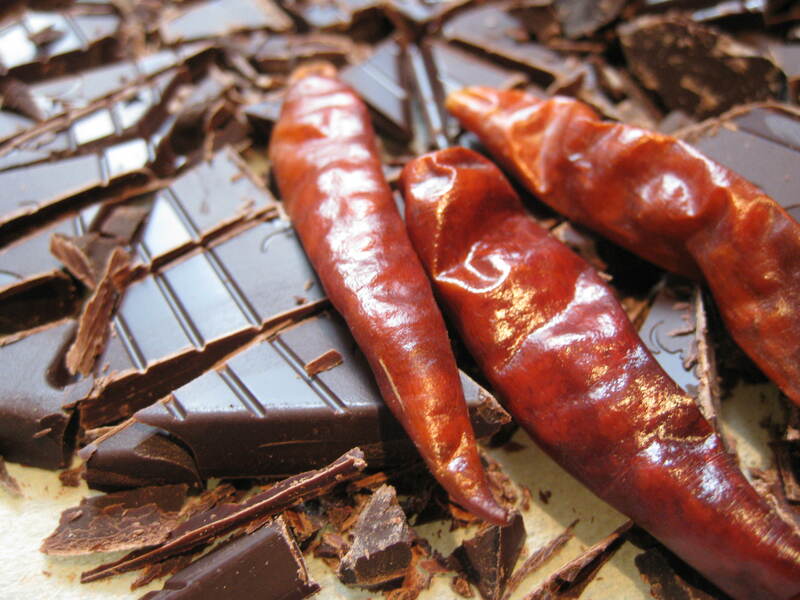 The problem with giving a more detailed reply is that the proportions of ‘flavour ingredients’ differ since the ingredients themselves can be so different – if you for instance would like to create a “spice” ice cream (like, with cinnamon or saffron), you’d only have to add a little of the spice itself to the base. If you’d like to add fruit puree, on the other hand, you might be looking at adding perhaps about 200 gram or more of mashed fruit. Obviously, if you add “too little” flavouring, the ice cream may turn out too weak-flavoured. If you add “too much”, the flavour might turn out too strong. Worse, however, could be if you add so much that you harm the overall consistency of the ice cream (like if you overdose on alcohol, or bring a lot of extra water to the mix through the use of ‘water-rich’ ingredients). I would suggest that you look around for recipes of the specific flavour-type you want to make and let yourself be inspired of the proportions suggested! In many of the recipes on this site, you will also find some words of caution (like on the risk of overdosing on alcohol, if using that as a flavouring agent). Still – experimenting a little can bring you very far, since flavour ultimately is a matter of personal preferences. Best of luck! Thanks so much. I made the base and added some espresso powder dissolved into some cream and milk, and also another batch using some milo also dissolved the same way, and added some milo at the end for the crunch as well. It was great. I just adjusted according to taste as I mixed them in. That’s great to hear, Tania! We’ve loved ice cream all our lives; there was a particularly wonderful shop called ‘Regent’ in Sutton, Surrey which we both remember and lament in equal measure (it closed some years ago, sadly). They sold legendary vanilla ice cream, like nothing else you can buy – like nothing else on Earth! Having now bought our first ice cream maker, we’re to try emulating the beautiful taste and consistency of Regent’s vanilla wonder. It was a closely guarded family secret, but we’ve managed to gain at least some insight into how they did it thanks to an exposé written by a (then) milk delivery boy who saw how the owner made it (mixed in a BATHTUB!!!) and has since blabbed on the internet – bless him! Armed with his knowledge, the combination of the fantastic tuition/advice offered above AND a specific recipe from your site which sounds similar to what exposé boy reported (https://www.icecreamnation.org/2017/11/vanilla-ice-cream-quality-butter) we should be able to achieve something quite similar. The delivery boy reckoned that Regent only used gold top milk, so we’ll use that instead of normal in the recipe and we’ll try to forget how much fat/sugar/calories are going to be involved. Thanks for sharing the story about the marvelous ice cream from Regent, and best of luck with recreating that glorious vanilla (while keeping your own cholesterol levels at sustainable levels ;-))! I’d love to hear more about your exploits so please feel welcome to share if you feel your experiments turn out to be successful :-). Thanks so much for your reply and even more so for your extraordinary site! To say that the Butter Queen Vanilla was a success is putting it mildly. I’ve never followed a recipe and technique more closely; combined the temperatures and some of the method – including tempering – mentioned on this page with the ingredients AND method on the Butter Queen page. The resultant taste and texture was in fact better than we remember of our beloved Regent – both my wife and younger son (@18 years of age, too young to recall Regent but old enough to know a damn fine ice cream!) stated that it was the best ice cream they’d ever tasted. I had to make 2 batches in the end, to avoid over-filling the ice cream maker. Second batch was refrigerated overnight and, when I churned it this afternoon, was “enhanced” with 10ml of Cointreau. Unnecessary perhaps, but I couldn’t resist. Initial results for the 2nd batch are of a slightly orange hinted softer scoop version of the first batch. Stuff the cholesterol levels, this is just the best ever ice cream!!!! Thank-you thank-you and thank-you again!!!! That`s great to hear! Thank you so much for your kind words, and all the best with any future ice cream experiments 😀 ! Glad to hear that you like the post! You can search for some inspirational recipes here on the site, but I assume that you perhaps would like to use a custard (Italian-French style) base? If so, you can basically use the base recipe here, exclude the vanilla and instead add the other flavours you want. For a lemon version, you could simply add the juice and zest of a couple of lemons or so to the base before churning (the amount of lemon depending on how lemony you want the ice cream to be). I have not yet made any mojito ice cream myself, but the principle remains the same: once you take off the base from the heat, add some roughly chopped mint leaves and leave to soak for a few hours while the base cools down. Then add some lime juice and lime zest. If you like, you could also include a little rhum (about 1-2 tablespoons should be enough). Do some experimenting so that you get the proportions of taste that appeal to you the most! Best of luck!